George Rodrigue was active/lived in Louisiana, California. 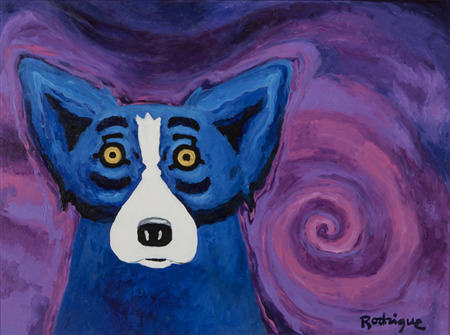 George Rodrigue is known for blue dogs and bayou landscape painting, posters. Title: "Sweet Dreams of You"
Seller's Notes/Description: The Fine Art Auction - May 16, 2018. Sold for $37,500.